This is the fourth installment in a four-day series on climate change in Montana, and what state, local and private officials are doing to address it. The Missoula Current will focus on climate change throughout 2019. University of Montana students, faculty and staff are ready for President Seth Bodnar to officially commit to addressing climate change and taking more action on sustainable practices on campus. Entering his second year as president, many are eager to see the ideas and initiatives he’ll bring to UM’s push for carbon neutrality. In an interview with the Missoula Current, Bodnar said he believes, based on evidence-based research, that climate change is clearly occurring, as is accepted by most scientists and the majority of Americans. “I believe in good science, evidence-based research, and a steady march toward an accurate, more sophisticated understanding of our world,” Bodnar said in an email. It’s a priority, he said, for UM to become more sustainable – one that benefits students, faculty, staff and the community. Students are drawn to programs that are relevant, he said, and those that involve research and the environment are good for enrollment – as well as the planet. “Our focus on the environment and sustainability spans the sciences, the social sciences, the humanities, the arts and our internal operations. Most important, this work is motivated by what our community and the world need today – and for the future,” Bodnar said. With all of this in mind, the Missoula campus has made strides toward sustainability with UM Dining’s Farm to College Program, investments in energy efficiency, and by offering the nation’s first Climate Change Studies minor. 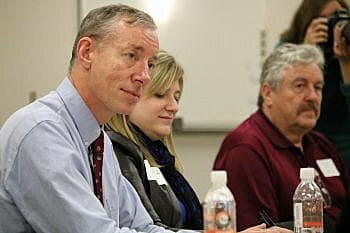 However, many on campus want sustainability to be at the forefront of campus operations. 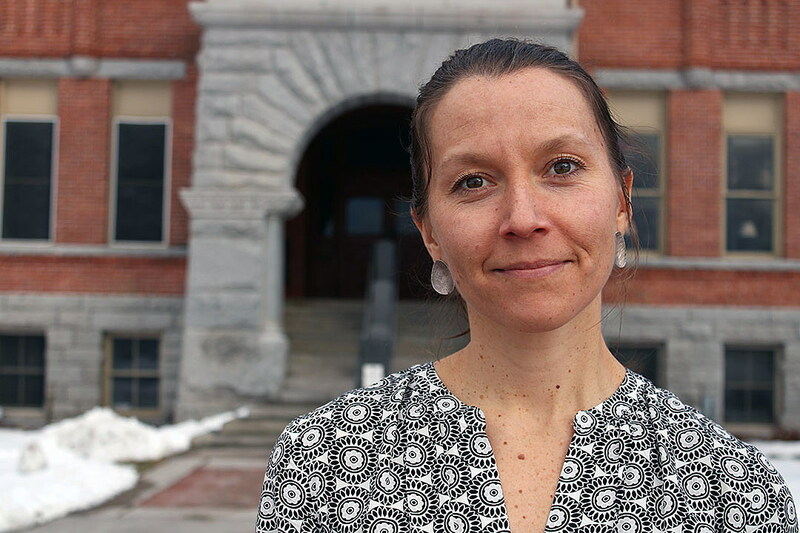 UM sustainability coordinator Eva Rocke plans to meet with the president and Provost Jon Harbor in April to talk about future policies that address climate change and the revision of UM’s Climate Action Plan, which intended UM to achieve carbon neutrality by 2020. 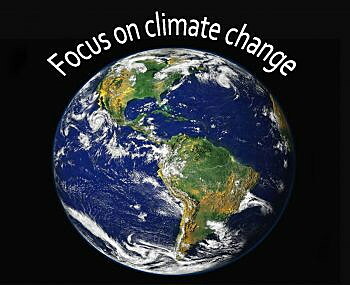 In 2015, the university reached a 10 percent reduction from the 2007 baseline carbon emission level – still far from the 2020 goal. About two-thirds of the school’s emissions come from operating buildings on campus, so investing in efficient buildings helps reduce UM’s carbon footprint, Rocke said. After the Climate Action Plan was signed in 2010, the university started taking energy efficiency seriously, and saw a yearly decrease in emissions until 2017, when four new buildings opened and emissions from purchased electricity and steam increased. “We still have a smaller carbon footprint than we did in 2007, but carbon neutrality for the University of Montana at this particular moment would mean that we would have to make everything on campus as sufficient as we can possibly make it,” Rocke said. According to Rocke, the university produces about 43,000 metric tons of carbon dioxide a year, a figure comparable to other similar-size institutions. Reducing that footprint will take a substantial investment, both in time and money. So now, Rocke hopes to create a plan that focuses on the next five years, whether that includes transportation, energy efficiency, renewables or other action areas. One idea is to better manage the general fund and utility budget to support the student-funded Kless Revolving Energy Loan Fund, or KRELF, which focuses on energy and resource conservation. Also possible is a campaign to gain certification for existing buildings using the Leadership in Energy and Environmental Design, or LEED, program. The recreation center at UM already has LEED certification. Rocke also wants to achieve a gold ranking by 2020 through the STARS self-reporting tool. Administered by the Association for the Advancement of Sustainability in Higher Education,this measurement considers the overall picture ofsustainability on campus – not just carbon emissions. In 2017, UM received a bronze rating from STARS. All of these ideas, she said, will be discussed with the president and provost during the climate conversation in April. Along with achieving measurable goals, the Sustainable Campus Committee plans to provide the president with recommendations of how to market UM as a sustainable campus, as well as a list of green projects that the university could invest in. These large-scale projects would need the president’s approval. 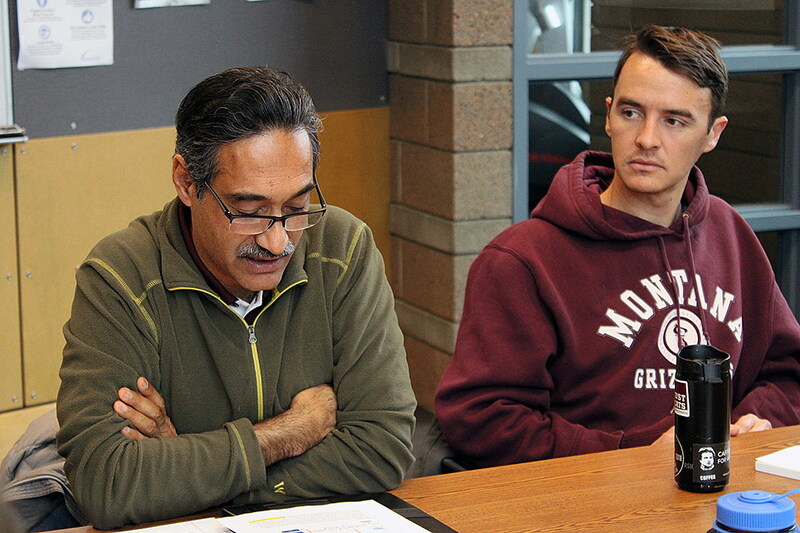 Campus architect Jameel Chaudhry presented a few ideas during a recent committee meeting, and wants to present projects and their payback value to Bodnar within the next month. Adding solar panels to the Mansfield Library, the University Center and Eck Hall is one idea, along with installing solar panels in parking lots. Fundraising to purchase offsets, or ways to compensate for emissions by funding an equivalent carbon dioxide saving elsewhere, will help balance UM’s footprint, Rocke said. Smaller ideas include implementing a parking app that encourages sustainable transportation, and finding donors to invest in the revolving KRELF fund, a student-financed loan program that supports energy and resource conservation projects on campus. One project funded through KRELF and led by a student installed insulation over the heat pipes in the basement of the Lommasson Center. The project cost $25,000, but resulted in a payback within a year. But funding is hard to find when enrollment is down, although many on the committee believe that investing in projects will help the university save money in the long term. Over the last decade, the university has implemented smart meters on most campus buildings, which measure energy usage over time and provide utility services with an energy reading every 15 minutes. With this data, Kerns can ensure that each building is running efficiently, and the money saved can be used for other upgrades on campus, which can include heating and cooling. Some buildings efficiently use the city’s aquifer for cooling. “At the university, we believe the primary function of facility services in relation to the university is to make the students comfortable so there’s a better learning environment, and to make the staff and faculty comfortable,” he said. Kerns said that a future project may be incorporating two small natural gas turbines that combine heat and power to create electricity and steam, which would reduce their reliance on NorthWestern Energy, UM’s main energy source, and save money. Over the next 12 years, UM could see a 45 percent increase in electricity costs, according to current UM utility rate trends. “We would clean up our carbon footprint by about one-third,” he said. All action starts with a conversation, and Christopher Preston, co-chair for the UM Sustainable Campus Committee and professor of environmental philosophy, said that previous meetings with the president and provost have been promising. “We came away from the meetings pleased and relieved that we have top administrators that take this topic seriously and seem willing to move things in a sustainable direction both in terms of resource sustainability and in terms of carbon issues,” Preston said. With Bodnar’s background in business and Harbor’s experience researching environmental change and studying geological sciences, Preston believes that UM shouldn’t lag behind. In an interview with the Missoula Current, the provost said UM has a responsibility to operate sustainably. Harbor said that being a more sustainable institution can be good for enrollment, and that sustainability is one of the Communities of Excellence highlighted by Bodnar’s administration. As conversations continue between faculty and the administration, the university is tackling a few smaller projects. These include the Green Office Program that encourages campus offices to adopt more sustainable practices, e-waste recycling and implementing a parking app that gives students a rollover money account that is charged every day they park on campus and encourages them to take other forms of transportation. Student groups across campus are also making an impact, according to Kat Olson, who serves as the sustainability coordinator for the Associated Students of the University of Montana, or ASUM. The UM FLAT, or Forum for Living with Appropriate Technology, wants to lead development of affordable homes for sustainable societies, while MontPIRG focuses on changing policy to support the environment. Classes in the environmental studies program have contributed to UM’s sustainability data by conducting research on the effects of solar power on campus and providing an inventory of the energy consumed by electronics plugged into campus outlets. MontPIRG, or the Montana Public Interest Group, is a student group that has lobbied against mining operations on the Smith River, advocated for public land use, and collected thousands of signatures to keep mining out of Glacier National Park. “We’re all part of the problem, so we all need to be part of the solution. Especially when universities are turning out our future leaders, it’s important that we give them that education but also show that it’s applicable and that we’re doing something,” Olson said. Every aspect of the University of Montana can be a little greener, and universities have a special obligation to reduce carbon emissions and waste, Preston said. While it may take some time for big actions, the Sustainable Campus Committee and students will push to become a leader in sustainable institutions. “This idea that we only focus on the next couple of years and we’ll worry about the future later, I really think that’s becoming less defensible actually, by the year. This is sort of encouraging that there’s possibly a way in which people are realizing the future can’t wait now,” he said. Monday: City and county leaders in Missoula firmly believe in the science behind climate change but admit there are financial restrictions on what can be done to address it. What are they doing now? What’s planned? Tuesday: Although cities like Missoula are doing what they can to fight climate change, it’s not enough to keep the climate from warming past a critical point. That requires a massive worldwide effort, according to two University of Montana teachers. Wednesday: Montana state employees can be hesitant to mention climate change in a state where some still brand it a liberal myth. But the Fire and Aviation Bureau at the Department of Natural Resources and Conservation is now planning for climate change. 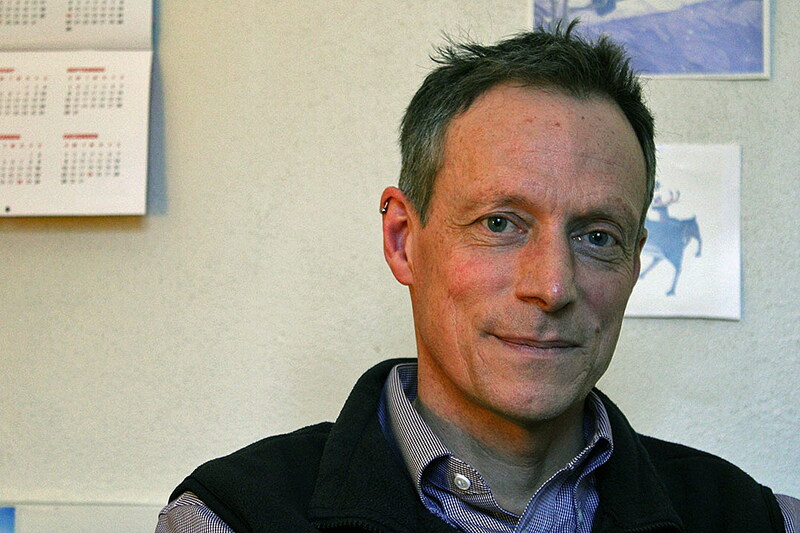 Thursday: Does the University of Montana’s new president believe in climate change? Many of the students on campus do, and they’re busy doing what they can to make small changes as they consider one of the biggest threats to their generation.